Sony Xperia Ion HSPA… your companion for life! 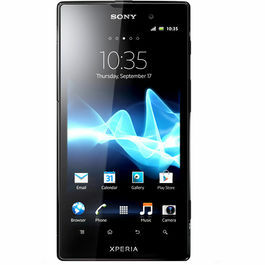 Enter the world of Sony and discover the Xperia Ion HSPA with the 4.6” TFT capacitive touch screen. The Reality display with Mobile BRAVIA Engine enhances your viewing experience.Moreover, your screen is safe from any scratches; as the phone is scratch resistant with a shatter proof sheet on mineral glass. Enjoy bright and dazzling visuals with the 1280 x 720 pixels resolution and 16M color, which give you sharper and clearer output. 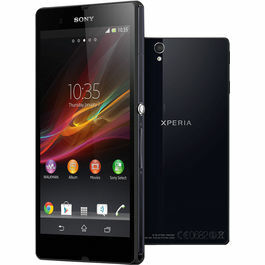 The Sony Xperia Ion HSPA is built on the Android 4.0 operating system. The 1.5 GHz Qualcomm Dual Core processor of this phone is fast and efficient that allows the user to execute multiple tasks at the same time. This Sony phone is amazing when it comes to internet connectivity. You can access the virtual world from anywhere and anytime in the day. The phone is enabled with the wireless Wi-Fi technology. It even supports Wi-Fi hotspot functionality, which lets you connect other devices also to the Wi-Fi network. Browse the web with the Webkit browser with Pan and zoom. 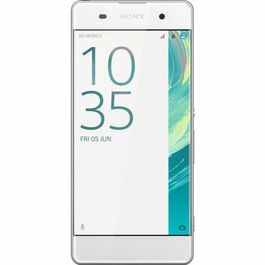 For your convenience, this Sony phone is loaded with various Google services such as Google Maps with Street View and Latitude, Google Voice Search, Google Talk with video chat and Google mail. Watch your video, images, or listen to your favorite music on your HDTV; as now you can connect your phone with HDMI or DLNA cable. The other connectivity options which the phone offers are Bluetooth, USB and 3.5mm audio jack. Click! Click! The 12.1MP camera with Auto focus and photo light and a front facing 1.3MP camera allows you to take vibrant images. You will not miss your digital camera. The camera is powered by Sony’s Exmor R for mobile CMOS sensor. You can even do HD video recording with it. The phone’s camera even has a 3D sweep panorama mode and face detection facility. So, go ahead and take snaps wherever you are. Enjoy listening to music on this Sony phone which is stocked with Sony’s exclusive xLoud audio filter technology. You can even tune into your favorite radio station; as the phone has Fm radio with RDS. You can also access the Sony Entertainment Network and download the latest music, video and TV shows on your phone. It's spacious. The phone will never lack space; as it boasts a 12.9 GB internal memory capacity, which is expandable up to 32GB. 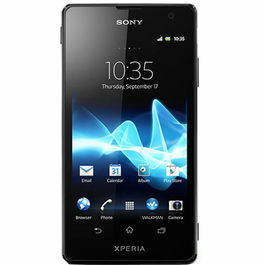 The Sony Xperia Ion HSPA is powered by a powerful battery which offers a talk time of 10hrs and a standby time of 400 hrs. 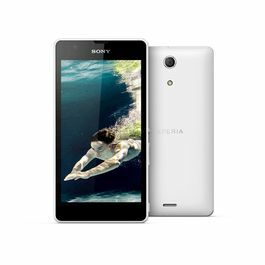 Sony Xperia Ion HSPA… your companion for life! Display Enter the world of Sony and discover the Xperia Ion HSPA with the 4.6” TFT capacitive touch screen. The Reality display with Mobile BRAVIA Engine enhances your viewing experience.Moreover, your screen is safe from any scratches; as the phone is scratch resistant with a shatter proof sheet on mineral glass. Enjoy bright and dazzling visuals with the 1280 x 720 pixels resolution and 16M color, which give you sharper and clearer output. Operating System Smooth Functioning! 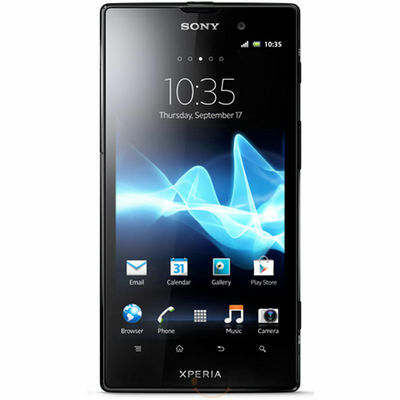 The Sony Xperia Ion HSPA is built on the Android 4.0 operating system. The 1.5 GHz Qualcomm Dual Core processor of this phone is fast and efficient that allows the user to execute multiple tasks at the same time. Connectivity This Sony phone is amazing when it comes to internet connectivity. You can access the virtual world from anywhere and anytime in the day. The phone is enabled with the wireless Wi-Fi technology. It even supports Wi-Fi hotspot functionality, which lets you connect other devices also to the Wi-Fi network. Browse the web with the Webkit browser with Pan and zoom. 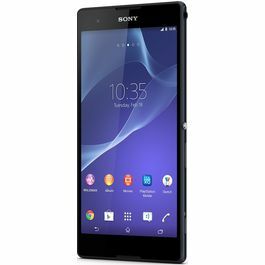 For your convenience, this Sony phone is loaded with various Google services such as Google Maps with Street View and Latitude, Google Voice Search, Google Talk with video chat and Google mail. Watch your video, images, or listen to your favorite music on your HDTV; as now you can connect your phone with HDMI or DLNA cable. The other connectivity options which the phone offers are Bluetooth, USB and 3.5mm audio jack. Camera Click! Click! The 12.1MP camera with Auto focus and photo light and a front facing 1.3MP camera allows you to take vibrant images. You will not miss your digital camera. The camera is powered by Sony’s Exmor R for mobile CMOS sensor. You can even do HD video recording with it. The phone’s camera even has a 3D sweep panorama mode and face detection facility. So, go ahead and take snaps wherever you are. Multimedia Enjoy listening to music on this Sony phone which is stocked with Sony’s exclusive xLoud audio filter technology. You can even tune into your favorite radio station; as the phone has Fm radio with RDS. You can also access the Sony Entertainment Network and download the latest music, video and TV shows on your phone. Memory and Battery It's spacious. The phone will never lack space; as it boasts a 12.9 GB internal memory capacity, which is expandable up to 32GB. 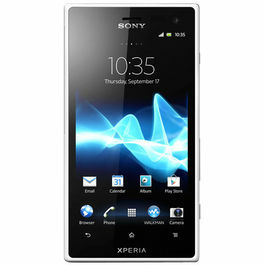 The Sony Xperia Ion HSPA is powered by a powerful battery which offers a talk time of 10hrs and a standby time of 400 hrs.